Plans calling for a wind farm featuring 49 turbines in Michigan’s Upper Peninsula have been called off due to multiple delays in the planning stages, among other reasons. The Associated Press reports that Renewable Energy Systems will not pursue its wind farm it had planned for L’Anse Township in Baraga County. The company stated that the project didn’t make sense financially or logistically anymore, according to A,P. Originally, the company planned a facility featuring at least 49 turbines standing about . . . The Summit Lake Wind Farm is no longer being pursued, according to a press release from Renewable Energy Systems issued Friday. “After a careful review of several factors, RES has decided to discontinue the development of the Summit Lake Wind project,” Sean Stocker, RES Project Manager, said in the release. “We have enjoyed working with the local community and want to thank all the landowners and supporters of the Summit Lake Wind project.” The release cited “continued delays in the . . . The developer behind a proposed wind farm in L’Anse Township says it is no longer pursuing the project. In a press release Friday morning, Renewable Energy Systems said “continued delays in the planning process have ceased to make the project financially and logistically viable.” The Summit Lake Wind Project is a proposed 130 MW wind farm near the Huron Mountains on Weyerhaeuser Land. “After a careful review of several factors, RES has decided to discontinue the development of the Summit . . . Concerned Citizens of Branch County filled the County Commission work session Thursday to ask commissioners to proceed on a new Master Plan and enact a moratorium on special use permits until one is in place. The anti wind turbine organization created 16 months ago is most concerned about Union Township which has no rezoning and turned down zoning in last November’s election by 25 votes. Pam Reed laid out the group’s concerns and urged commissioners “to defend the heath, safety, . 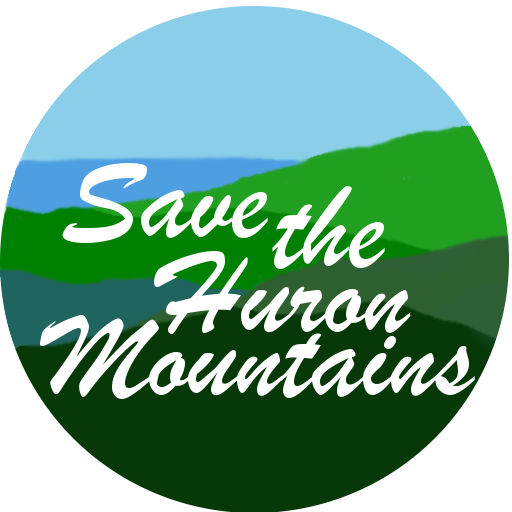 . .
FRIENDS OF THE HURON MOUNTAINS FOR IMMEDIATE RELEASE Local Group Reacts to Wind Farm Cancellation Urges Voter Turnout for Zoning Referendum Press Release RES Withdrawal April 2019 L’Anse, Michigan, April 19, 2019 The Friends of the Huron Mountains, a group formed to protect the interests of its members in the Huron Mountains and Michigamme Highlands area, welcomes today’s news that Renewable Energy Systems Ltd. will not proceed with the Summit Lake Wind Farm project on Weyerhaeuser Co. land in L’Anse Township. FOHM . . .
A controversial plan for a wind farm in the Upper Peninsula has been cancelled. Renewable Energy Systems was behind the project which aimed to put 49 wind turbines across 28,000 acres in L’Anse Township. In a statement, RES said the project was no longer financially or logistically viable. “After a careful review of several factors, RES has decided to discontinue the development of the Summit Lake Wind project,” said RES Project Manager Sean Stocker. “We have enjoyed working with the . . .
L’ANSE TOWNSHIP – It was announced today in a press release that the developer of the Summit Lake Wind Project, Renewable Energy Systems, has decided to stop their pursuit of the project due to “continued delays” making the project no longer “financially and logistically viable.” “After a careful review of several factors, RES has decided to discontinue the development of the Summit Lake Wind project,” said RES Project Manager Sean Stocker in the press release. “We have enjoyed working with the . . . Citing planning delays, a global renewable energy developer has canceled plans for a major wind project in Michigan’s Upper Peninsula. A local referendum on the project is scheduled for May 7, though it is not clear whether that impacted developers’ decision. The 130-megawatt Summit Lake Wind project, backed by global developer Renewable Energy Systems (RES), had divided local residents over its location in “pristine U.P. wilderness” near Lake Superior. The project in L’Anse Township northwest of Marquette was opposed by . . .
A renewable energy company is no longer pursuing a wind farm project in Baraga County. Renewable Energy Systems had proposed erecting dozens of wind turbines in the Huron Mountains within L’Anse Township. The proposal was strongly opposed by the Keweenaw By Indian Community and the Friends of the Huron Mountains. A referendum was scheduled to appear on the May 7th ballot to change the wording of an ordinance which would open the way for the project. In a press release, . . . Representatives from a local citizens group who are opposed to the siting of proposed wind turbines by DTE Energy in the northwestern part of Branch County asked the Branch County Board of Commissioners during their work session on Thursday to update the county’s Master Plan and to pursue a moratorium on special use permits. Pam Reed from Concerned Citizens of Branch County said DTE Energy was trying to take advantage of no zoning in Union Township and pointed out the . . . Representatives with the Keweenaw Bay Indian Community were at Northern Michigan University Monday, speaking out against the proposed Summit Lake Wind Project in the Huron Mountains. They spoke before a class and members of the public on what they believe to be dangers posed by the project. “It’s important that we are taking native of the negative impacts it may have on our treaty resources as we have them today and as we enjoy them today,” said KBIC president Warren . . .
MARQUETTE – Members of the Keweenaw Bay Indian Community were on the campus of Northern Michigan University Monday afternoon to talk about a potential wind farm in L’Anse Township. The presentation allowed members from the KBIC to talk to students and the public about why they oppose the wind farm and feel it will have a negative impact on the area. The Summit Lake Wind Project was announced early last year, which would allow for 49 wind turbines to be spread . . .
ESCANABA – An ordinance detailing wind energy guidelines within the city was adopted by the Escanaba City Council Thursday. “As I understand it, the planning commission has spent countless hours working on this proposed ordinance,” Mayor Marc Tall said. The ordinance will set rules for noise and shadow flicker from wind energy creation systems, as well as outline setbacks and height limits for various styles of windmills and wind turbines, establish site plan requirements, and require all applicants seeking to construct . . .
BAD AXE – Experts have started their investigation into what caused a wind turbine to catch fire in in one of Huron County’s townships this week. On April 1, Turbine No. 17 at Harvest Wind II caught fire. The wind turbine is located in self-zoned Chandler Township and owned by Exelon Generation. “The site was secured and monitored while the fire was allowed to burn itself out, which occurred at about 11 p.m. that night,” John Orr, a representative with Exelon, . . . Most wind energy projects in Michigan are on farmland in the southern part of the state. They are often controversial even there, but one company wants to put a wind farm in an Upper Peninsula forest. Many community members don’t feel that’s the right place either. The top of Michigan At 1,979 feet, Mt. Arvon is the highest point in Michigan. It’s in L’Anse Township in the Upper Peninsula – a 4 hour drive west of the Mackinac Bridge. To get . . .
JONESFIELD TOWNSHIP, MI – Some Jonesfield Township residents want a public vote on a more restrictive ordinance governing wind energy farms. A group of citizens gathered signatures to get a referendum on the issue on the May election ballot. The current ordinance was adopted by the township board in 2004. The election is set for Tuesday, May 7. The ordinance from 2004 calls for 5 acres per wind turbine generator and the maximum noise level generated by the turbine should . . .
A wind energy company is still trying to figure out what caused a turbine fire in the Elkton area of Huron County on Monday. Even after this fire and the collapse of another three years ago, Oliver Township Fire Chief Jim Seley believes the turbines are safe. “This is the first time one has caught on fire from around here,” he said. The charred remains of the generator of the wind turbine that caught fire late Monday afternoon is clearly . . .
CHANDLER TOWNSHIP – There’s no cause or reason, yet, to why a wind turbine caught fire in Huron County this week. A wind turbine at Harvest Wind II, owned by Exelon Generation, was captured on fire with black smoke emitting into the sky shortly after 5 p.m. on Monday. It appeared to be actively burning near the turbine’s blades. “There were no injuries to the public or employees,” Mark Rodgers, a manager with Exelon Generation, stated in an email to the . . . Firefighters and deputies responded to a wind turbine fire near the village of Elkton. Jeff Smith, an Elkton village official, said the fire is 300 feet in the air and crews cannot reach it to extinguish the blaze. Smith said the fire will likely burn itself out. Jared Schuette owns the property where the wind turbine is located, he said that this is quite an ordeal because this has never happened before. “It’s insane, it’s a small town and everyone . . .
A wind turbine in Huron County caught fire and dropped flaming debris to the ground Monday afternoon. The fire was reported around 5:30 p.m. on Elkton Road near Berne Road in Oliver Township. The wind turbine involved is located about a half mile off the road, so a witness said fire crews are having trouble accessing it. The Oliver Township Fire Department also doesn’t have an aerial truck, so firefighters can’t reach the flames with hoses on the ground. A . . .
ELKTON – A wind turbine near the corner of Elkton and Campbell Roads, north of Elkton caught fire. More information to come. At Tuesday’s special meeting, the Juniata Township Planning Commission voted to revoke a special land use permit (SLUP) from NextEra Energy Resources that the commission had approved in January 2018. At the meeting, which was held in the cafeteria of Caro High School, the commission voted 4-1 to rescind the SLUP, following a public comment session that saw folks speak for, and against, revoking the permit. Juno Beach, Fla.-based NextEra approached officials in Juniata and Fairgrove townships in fall 2017 . . .
SIDNEY TOWNSHIP – Some Montcalm County residents have been receiving inquiries from solar and wind companies regarding the possibility of local renewable energy projects. Ferris Township Treasurer Janice Jourdan is among those receiving phone calls. “What would you say would be the probability of them really wanting to get involved in our local community?” Jourdan asked during a renewable energy community forum Thursday evening at Montcalm Community College. “I would definitely open the door to let them come educate you and . . .
MONITOR TOWNSHIP, MI – Bay County’s Monitor Township has an updated zoning ordinance that further restricts wind farms, should one be developed there in the future. Monitor Township Supervisor Ken Malkin said zoning ordinance No. 67 was adopted Monday, March 25, after the township board unanimously approved its second reading. It goes into effect April 29. “What the Planning Commission had been working on for three or four years was redoing our entire zoning ordinance and part of that ordinance . . .
Owing to the size of the wind project across five townships, Isabella County formally established two separate funds last week to make sure that taxpayers weren’t stuck paying to make sure the windmills comply with the county’s zoning ordinance. Money for both funds came from the project’s developers. Some of it, $589,800 will go towards paying costs associated with making sure that the project itself complies with the zoning ordinance. The rest of it, $25,000 is being set aside to . . .
ESCANABA – Residents that want to weigh in on wind energy creation within the city of Escanaba will be able to do so April 4, when the city holds a public hearing on a newly drafted wind energy ordinance. “I want to note the planning commission has spent significant time on this, and they are recommending that we adopt this ordinance,” Mayor Marc Tall said at Thursday’s regular council meeting. The ordinance would set the rules for noise and shadow flicker . . .
ROGERS CITY – The Presque Isle County Board of Commissioners is waiting to review ballot language that would allow some county residents to vote on a controversial ordinance dealing with wind turbines and solar energy. Commissioners amended the county’s wind and solar energy ordinance late last year. The ordinance addresses zoning issues pertaining to the installation of renewable energy facilities, as organizations have moved to build wind turbines in the county. But a petition circulated by Moltke Township residents Mike and . . .
HEMLOCK, MI – A play teaching young kids the benefits of renewable energy is traveling around elementary schools in mid-Michigan. DTE Energy is sponsoring the performances. Plus One Meetings is putting on the play that follows two actors who learn about renewable energy sources such as wind and solar. One of the plays took place at Hemlock K.C. Ling Elementary School in Hemlock on Monday, March 11. Over 300 students gathered in the gymnasium to watch the roughly 45-minute play, . . . Researchers at Michigan Technological University were hired by the Friends of the Huron Mountains (FOHM) to conduct a viewshed analysis of the wind farm proposed by Renewable Energy Systems (RES). In explaining the process, the researchers said they started the analysis in December 2018 and finished in January. According to Ryan Williams, assistant director of the Geospatial Research Facility at MTU, information on the height and position of each turbine was determined using permit applications filed with the Federal Aviation . . . The Friends of the Huron Mountains (FOHM) commissioned the creation of a map showing where wind turbines in a wind farm proposed for L’Anse Township would be visible. FOHM worked with researchers at Michigan Technological University (MTU) to create both a two-dimensional map and a three-dimensional virtual viewer. “View shed analysis is a pretty common technique that most geographic information system software packages can perform,” Ryan Williams, assistant director of the Geospatial Research Facility at MTU, said in an email. . . . Concerns about a proposed wind farm’s impact on Mt. Pleasant Airport will be communicated to the Federal Aviation Administration after city commissioners approved the correspondence on Monday. Apex Clean Energy is planning a wind farm in six townships in Isabella County, with groundwork expected to begin this summer and the turbines themselves being put up in 2020. As part of the process, the FAA is seeking input from airports near the turbines. This is standard procedure if the turbines are . . . The Mount Pleasant City Commission chose to endorse comments to the Federal Aviation Administration (FAA) regarding an Apex Clean Energy Inc. wind turbine project at the March 11 city commission meeting. Before approving the project Jan. 31, the planning commission worked to eliminate three areas of concern, involving aircraft and pilot safety, noise and a form of light pollution called “shadow flickering,” which is caused by the shadows and reflections cast by the blades of a wind turbine. The wind . . .
One month after an Isabella County Planning Commission meeting, Apex Clean Energy is working on several issues as it prepares to make its wind farm in Isabella County a reality. If all goes as planned, Apex expects to begin the groundwork to install wind turbines in mid- to late summer of this year, with installation of the turbines themselves planned for 2020, according to Albert Jongewaard, senior manager for public engagement for Apex. The project is not without its critics. . . .
ITHACA, MI – Gratiot County is getting another wind farm but county commissioners have concerns over a bond that would ensure the wind turbines would be dismantled in the future. The Gratiot County Board of Commissioners will meet Tuesday, March 5 to get clarification on where to store a more than $10 million bond and agreement that were approved last week allowing Polaris Wind Energy LLC to start building 76 wind turbines in the area of Lafayette Township, Hamilton Township and . . .
ROGERS CITY – A date has been set for some Presque Isle County residents to vote on the county’s controversial wind turbine ordinance. The county Board of Commissioners on Friday voted to hold the election on Aug. 6, at the recommendation of the county’s attorney, Joe Kwiatkowski. The referendum is headed to the ballot because Moltke Township residents Mike and Stefani Schulte obtained enough signatures on a petition to challenge a wind turbine ordinance the board had adopted in October. Commissioners . . .
ROGERS CITY – The Presque Isle County Board of Commissioners will today review ballot language that would allow some county residents to vote on the county’s controversial wind turbine ordinance. The meeting is scheduled for 9:30 a.m. today. Late last year, county commissioners amended the county’s wind turbine ordinance, which addresses zoning issues pertaining to the installation of wind turbines. However, a petition circulated by Moltke Township residents Mike and Stefani Schulte received enough signatures to force that ordinance to the . . .
DEERFIELD TWP. – DTE Energy brought environmental activist Peter Sinclair to the Deerfield Township Hall Friday evening to tout the benefits of renewable energy and wind generation. Sinclair, an award-winning videographer from Midland, gave a presentation aimed squarely at Kevon Martis, an anti-wind activist who was in North Branch Township on Feb. 19 to tell people that wind generation is too expensive. According to Sinclair, that’s not true and “unsubsidized wind is on of the lowest electric generation options.” He added, . . .
Gratiot County is getting yet another wind farm. Members of the County Board of Commissioners voted 4-1 on Tuesday to approve a $10,472,000 wind turbine decommissioning agreement with Delaware-based Polaris Wind Energy, clearing the final hurdle for construction to begin next month. Commissioner Chuck Murphy cast the lone dissenting vote. The issue had been tabled during a previous meeting due to a deadlocked 2-2 vote. At that time Commissioner Jan Bunting had also voted no and Board Chairman George Bailey . . .
NORTH BRANCH TWP. – More than 150 filled a meeting room at North Branch Wesleyan Church Tuesday (Feb. 19) night to hear the other side of the wind energy debate. Last month the North Branch Township Hall meeting room was standing room only for a presentation by three wind energy experts invited in by township supervisor Gary Swoish. However, Michelle Peel, whose son suffers from several seizure disorders, was unconvinced and suspicious of the experts whose travel expenses were paid for . . . I was totally disappointed with our county commissioners, with exception to Sammi Kourny and Mr. Wiessner. The commissioners had a vote to extend the moratorium and let the planning committee finish the ordinance on wind energy or accept the 2015 ordinance. Everyone knows it is totally insufficient, designed for and by the developer, not for the health and safety of our tax paying people of Huron County. The commissioners finally have appointed a planning board to be proud of, and . . . In regard to the Feb. 12 board of commissioners, meeting Steve Vaughan stated: Moratorium means nothing. It might make you think you have more time. He also said the planning commission has plenty of time to complete the wind ordinance. Plenty: the state of being sufficient and in abundance. Anybody could count the days remaining before the existing moratorium expires. There’s not enough time to schedule a planning commission meeting and finish updating the ordinance and advertise for a minimum . . .
ODESSA TOWNSHIP, Mich. – Wind turbines are on the table for discussion in Odessa Township. The community held a public meeting Wednesday to get people’s perspectives. The room had mixed feelings. Some saying the turbines would add a much-needed economic boost to the community. Others raising typical concerns with wind turbines, including blight and long-term damages to property values. What makes it complicated is that Odessa Township isn’t zoned, and neither is the county. That means regulating what property owners can . . .
NORTH BRANCH – Lapeer County Citizens WindWatch, a group of northern Lapeer County residents concerned about the possible effects of a proposed wind turbine project in their communities will hold a Wind Energy Policy Forum at 6:30 p.m. Tuesday (Feb. 19) at the North Branch Wesleyan Church. The meeting will feature Kevon Martis of Blissfield, who is a senior policy fellow at the Energy and Environment Legal Institute in Washington, DC. Michelle Peel, who is organizing the event, said other speakers . . .
BAD AXE – A majority of county commissioners rejected a request Tuesday to extend Huron County’s wind energy moratorium for one year. Prior to taking a vote, Sami Khoury, chairman of the board of commissioners, asked Robert McLean, chairman of the Huron County Planning Commission, for an update on recent activity. McLean told commissioners they need to work together with planners. At the commissioners’ request last year, McLean said planners stopped working on wind and focused on solar. “… Anybody that . . .
KAWKAWLIN, MI – Kawkawlin Township’s supervisor faces a recall election May 5 after he voted against a moratorium on wind energy turbines in the township. Dennis Bragiel, the township’s supervisor for 10 years, faces Samuel Davidson, running as an independent, who filed a petition to run against Bragiel. Both of their names will appear on the special election ballot. Shawn Starkey, a spokesman for Michigan Secretary of State’s office, said in 2012 the legislature changed the way recalls happen and . . .
BAD AXE – County planners are moving forward with their request to extend the county’s wind moratorium after an outcry from residents opposing more wind turbines. “We’ve got enough of them,” Sherman Township resident Richard Stein told Huron’s planning commission Wednesday night. Planners hosted a public hearing for a request to extend the Huron County Wind Moratorium during this week’s meeting. The wind moratorium went into effect March 1, 2018, and was set to stay in effect for one year or . . .
COLUMBIA TOWNSHIP – More wind turbines are coming to northern Tuscola County later this year. Consumers Energy sent a newsletter to Columbia Township residents notifying them construction of Phase III of Cross Winds Energy Park will start soon. There will be 33 new turbines built as part of the Cross Winds Energy Park’s Phase III in the township. “This will help us meet our company goal of generating more than 40 percent of our electricity from renewable sources by 2040,” said . . . This is in response to a letter from Sunday from Keith den Hollander of the Christian Coalition. He mentions Isabella County and how a special use permit was recently approved for Apex Clean Energy to build 157 turbines in five of our townships. While entitled to his opinion, den Hollander paints a rosy, pro-wind picture of the issue in Isabella County. Last week’s public hearing on the permit application was nothing more than going through the motions. The permit approval . . . It was a much smaller crowd at Monday night’s Monitor Township planning commission meeting dealing with wind farms. Many are still opposed to the idea of turbines in the township, west of Bay City, but are satisfied with zoning guidelines. Brandon Krause chaired a wind energy rules committee and says wind farm operators must pay a bond for each turbine to cover expenses incurred by the township. In addition to noise and setback rules, wind farms must be 2,000 feet . . .
Boating and environmental groups in Ohio and Michigan are cheering the New Jersey Public Utilities Commission’s decision to reject the proposed Nautilus wind farm off the Garden State, declaring that it “fails to demonstrate a net economic benefit to the state.” Organizations in Ohio and Michigan are engaged in a battle to prevent wind turbines from being built in America’s five Great Lakes. “This basis for the rejection by New Jersey’s PUCO mirrors our position that the proposed turbine farm . . .